This post is filed under Bacon, Basil, Cheese, Frozen, Lean Cuisine, Linguine, Microwave, Pasta, Peas, Red Peppers. Yuck. 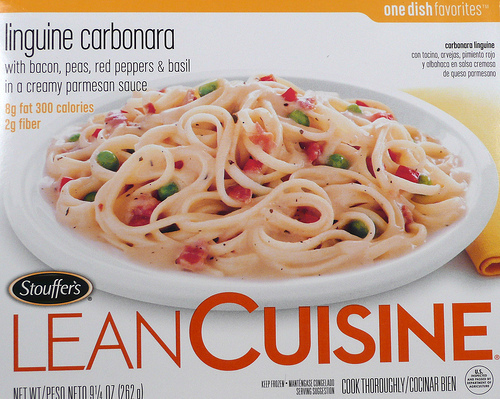 Another pretty picture on the box, another dish looking like slop. 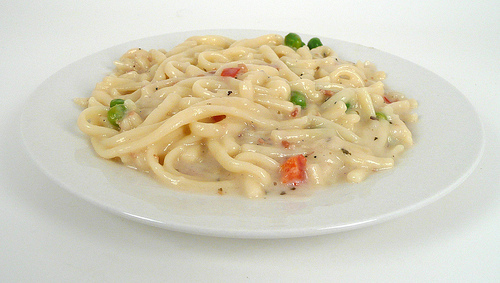 The pasta looks like it’s overcooked and bloated, and you’re right: it looks like soup. that THING in picture is far from being a carbonara!!! All of these look like total slop when you prepare them!